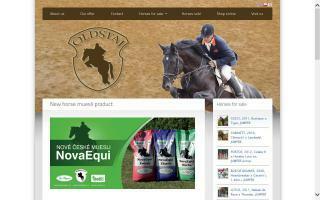 Europe Sale Barns Directory - O Horse! 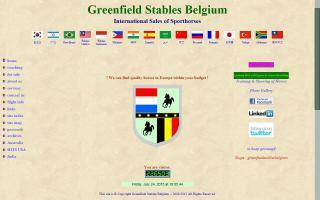 We offer you top quality horses of all ages, levels, and disciplines, carefully selected out of some of the best European bloodlines. We believe in long term relationships with our clients and do our best to make sure that the experience of finding a horse is a positive and successful one. 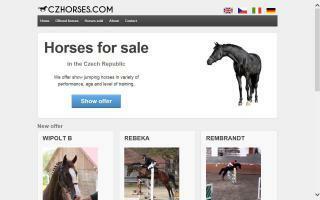 We feel it is our mission to help you find the right horse. We also can offer you the opportunity to do a little bit of site-seeing in Holland while we go looking for your perfect horse, and you can create your own package to see big stables, shows, events, clinics, and a lot more. Of course, you don't have to worry about traveling and hotels; we take care of everything. 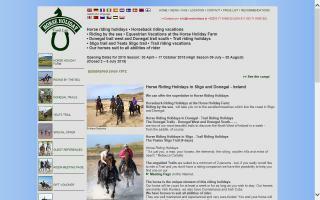 Please contact us for more information about our trips and horse shopping. 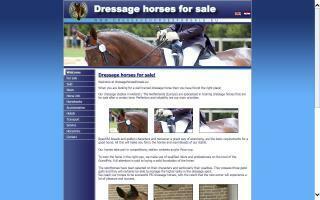 International dressage warmblood horses for sale. 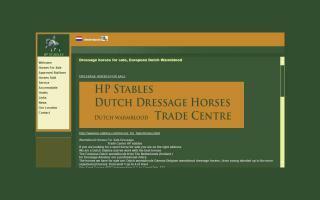 HP Stables - one of your best addresses to find your dream dressage horse in the Netherlands Holland. 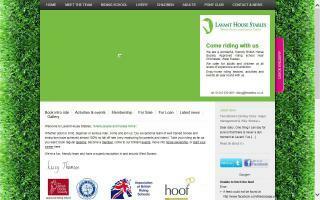 Lavant House Stables is an equestrian centre with 70 acres of land on the South Downs National Park near Chichester. 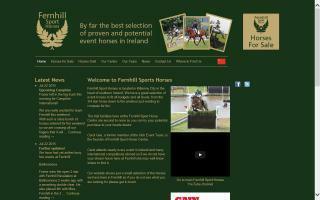 We have over 70 horses and ponies, 300 regularly riding clients, an active Pony Club, and liveries. Our events calendar of clinics, training, activity days, and social events caters to our liveries and riding clients. We have two all weather schools and are currently building a large new fully enclosed riding school with stalls, classrooms, and facilities. You are welcome to come and look around.